Chandrin Fernando has been promoted to the post of CEO of Arpico Finance Plc with effect from 1 February. Previously he was the Chief Financial Officer. A Fellow member of the Chartered Institute of Management Accountants (FCMA) (UK), Fernando is also qualified as a Chartered Global Management Accountant (CGMA) (UK) and as a Chartered Accountant holding Associate Membership with the Association of Chartered Certified Accountants (ACCA) (UK) and as a Chartered Marketer holding Associate Membership with the Chartered Institute of Marketing (CIM) (UK). He graduated from the University of Sri Jayewardenepura and holds a Second Upper Division Class Honours (Special) Degree in Business Administration. 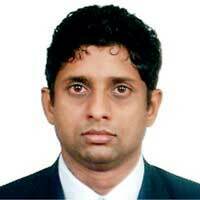 Fernando presently serves as a Director of CIMA Sri Lanka Division. He is a member of the Global Markets Committee and reports to the CIMA London Council and counts over 15 years experience in the fields of finance, marketing, trading, construction, real estate and plantations.